My wedding day. I’ve never felt such intense, overwhelming emotion as I did walking up the aisle…nervousness, anticipation, excitement and of course love. The icing on the cake… everyone that was important to me was there to share it. LOL, that’s easy. MONTANA WILD, my only release. I am working on another as we speak. 3. Will you be glued to the screen during the XXIII Olympic Winter Games in PyeongChang, will you catch the recaps, or will you ignore the games completely? Any favorite events? I will be glued to the TV. I LOVE the Olympics. Downhill skiing is crazy, scary and exciting. Definitely dogs. I am extremely partial to Labs. My debut novel is contemporary romance with a flair for adventure. I threw in some suspense too! So many to choose! Aretha Franklin. I would have to take two vastly different novels…GONE WITH THE WIND [by Margaret Mitchell] and THE STAND by Stephen King. 8. What is the first thing you do when you finish a book? Crack open a special bottle of wine! I wish I was more like Belle (“Beauty and the Beast”) because she could see inner beauty. And which one are you really most like? Ariel [“The Little Mermaid“]. I am a water baby. My boss! I was rewriting a job classification and he was impressed with my manipulation of words to describe the position. Calligraphy, cooking, wine appreciation. I took some woodworking classes and have a renewed respect for all power tools! When I was writing my debut novel, self-publishing was frowned upon. Now it is a respected, legitimate option! Sure. When you spend so much time with your heroine, she becomes your bff! I love bags…but they don’t have to be designer. I like them to be FUN with lots of compartments! Don’t quit. Don’t compare yourself to others. Stay true to YOUR voice. Swept up into the sea of travelers at the airport, she focused her attention back to the present as she followed the human current through check-in and security gates. It wasn’t until she was buckled into her seat that she registered the panic present in the far corner of her mind. What am I doing? A sickening wave of nausea rose in her throat as clammy beads of sweat trickled down her face. What the hell am I doing? Get up. Get off the plane now. It’s not too late, go! Dizzy with indecision, she reached for the buckle on her seatbelt as her alternate conscience spoke up. No, stay. Do I really want to go back to my cramped little studio and spend more time alone? Her fingers released the grip on her seatbelt and she closed her eyes, deliberately trying to relax the tense wires in every fiber of her body. Uneasy thoughts lingered after her internal schizophrenic conversation and she tried to leave all doubts behind as the plane ascended. Finding it impossible to concentrate on reading, she tried to distract herself by striking up a conversation with the unlucky soul sitting next to her. “No, I’ve never been. This’s my first time and I’m nervous,” Jamie admitted. Well, I finally got enough backbone to break up with my abusive, criminal boyfriend Derrick three months ago, and then my best friend and only ally, Noah, left on tour. I have NO family since my father died an agonizing death from lung cancer ten years ago, resulting in my mother becoming depressed and committing suicide two years later. I was pathetic enough to attach myself to one of my patients and become a helpless spectator as death cruelly consumed him. Only days after his death, my only surviving relative and second mother died, leaving me a 31-year-old orphan. So you see, I’m a loser and terribly lonely. So when this man I’ve never met in person asked me to join him on an intriguing escape across the country, I accepted. 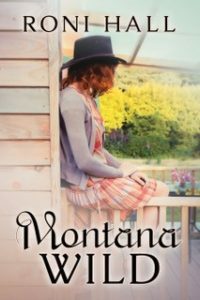 MONTANA WILD, Roni Hall’s debut novel and a 2016 release from Soul Mate Publishing, may be purchased through Amazon. An Audible version of the book may be purchased by following this link. The summer after high school graduation, Roni worked two jobs to pay for nursing school. During the midnight shift as a waitress, a charismatic young man at the counter flirted with her for hours as he consumed seven cups of coffee. Their first date was eventful enough to be a book itself! Thirty-nine years and two kids later, the love story continues. Just like her novels, life can’t be too simple and you must make it an adventurous ride! Her favorite place to write is in her hammock at their small Michigan cottage where she literally dodges the feeding hummingbirds while being serenaded by the lake’s loons. Besides writing, she loves Slow Rollin’ in Detroit and the combination of good food, better wine, and dear friends. Learn more about Roni through her website, www.ronihall.com, and follow her on Facebook and Twitter. Email her here. 1. Picture yourself at an amusement park. Are you the rider on the tallest roller coaster, clamoring for speed; the only adult on the spinning ride with the kids, begging for it to stop; or the bench-sitter, holding the coats and waving? I’m on the roller coaster avoiding the spinning teacups! Just thinking about twirling makes me queasy. As a youngster, my friends and I would ride the roller coasters at Cedar Point, then get right back in line to ride them all over again. A few years back, I rode Space Mountain and loved it as much as when I was a teenager. 2. Name an author whose work you read and still think “I’m not worthy”? LuAnn Rice. Her skill for writing stories centered around loss and tarnished relationships draws me in every time. 3. What was genre of the first piece you can remember writing, and how old were you when you penned this masterpiece? I wrote and illustrated a picture book titled “Erie” in fourth grade. I still have it, along with the other picture books I wrote in elementary school. 4. Are you traditionally published, self-published or a “hybrid” author, and why did you choose that path? Hybrid. I published my Montana Bound Series with Soul Mate. This year, I’m venturing outside my comfort zone and self-publishing a Christmas novella. 5. Which Star Wars character best describes your personality in regular life? What about on deadline? Regular life – Chewbacca. People in my world know I’ve got their backs. I love the way Chewbacca speaks, and like Chewy, I don’t need words to get my point across. On deadline, I’d have to say I’m more like Han Solo. I can get a little testy when I’m focused on reaching my goal. With the hint of sarcasm and a touch of perseverance, eliminating the deadline Death Star is an obtainable goal. 6. Was there ever a time before or after you were published that you considered quitting? If so, how did you convince yourself to try one more time? I may have been discouraged, but I never thought about quitting. 7. Celebrities aging beautifully: Mark Harmon or Sean Connery? Sean Connery. I like his Scottish accent. 8. Since all writers are readers, name your favorite hero or heroine from a book you’ve read. Has he or she had an impact in how you write the characters in your own books? Claire from Sarah Addison Allen’s Garden Spells has stayed with me. Sarah Addison Allen’s sprinkle of magic makes her portrayal of flawed characters’ shine. I’d like to believe someday, my sprinkle of magic will light up the pages, too. 9. Who was the first person – besides your mom and dad – who told you that you could write? My high school English teacher, Mr. Hotchkiss. He was old school. We’d written plays in class. Mine was set in a small town, and I wrote my characters with a drawl. When he returned my work, there was a sparkle in his eye when he told me I had talent. That’s a seed I’ve kept planted for most of my life. 10. Do you own at least one purse (or twenty) from a well-known fashion designer, or are you more the bag-to-carry-my-junk-in type? I have a smattering, but my favorite purse is a leather cross-body bag that I purchased in the Denver airport. 11. Do you belong to a critique group, and how has that membership affected your writing? My critique group has kind of dissipated due to children and hectic schedules, but I do have a writer pal that I use as a go-to when I need input. Love you, Roni! Not to be grim, but cancer was my catalyst. Writing was a huge part of processing the unknown. I’d had critiques on manuscripts prior to my debut novel MAGGIE’S WAY, but never really knew how to fix the stories. So, I tucked them away, wiped the slate clean, and started anew. That’s when Maggie Abernathy and her gang of misfits popped into my head and never left. 13. Music: Pink or Taylor Swift? 14. 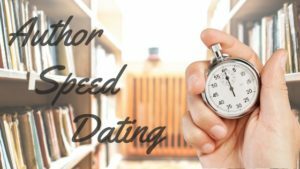 Do you write the synopsis before or after you write the manuscript? I write my synopsis after I write the manuscript. Not my favorite part of the process. Just saying. 15. What is your biggest dream for your writing career? The New York Times bestseller list? A movie deal? Your own island in the Caribbean? All of the above? New York Times bestseller list. Movie. Beach house. Another dog. Afraid, I prayed again. From under my lashes, I saw a man earnest and true, his eyes fixed on me yet not demanding, something I wasn’t used to. Flecks of passion danced in his irises. “How the hell do you know what you want?” I asked. “Because I know,” he said. “Does there have to be a reason?” he asked. “No. Sometimes things just feel right.” John kissed me as I took in his words, his breath in sync with mine. My stomach rolled over and I let myself kiss him back as if it were the very first time. 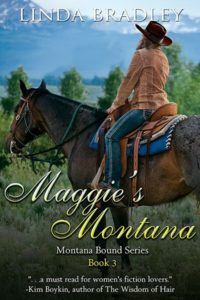 MAGGIE’S MONTANA is Book 3 in the Montana Bound Series and an October 2016 release from Soul Mate Publishing. It is available in print and e-book forms and may be purchased through these retailers: Amazon, Barnes & Noble and Books-A-Million. Linda’s inspiration comes from her favorite authors and life itself. Her women’s fiction with a thread of romance highlights characters that peel away outer layers of life to discover the heart of their dreams with some unexpected twists and turns along the way. 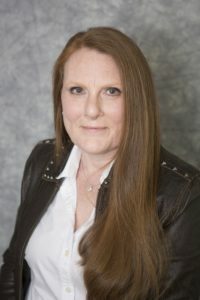 Her writing integrates humor found in everyday situations, as well as touching moments that make readers connect with her characters. Linda has an Associates Degree in Interior Design and a Master’s Degree in Reading and Language Arts with undergraduate work in Elementary Education and Fine Arts. She wrote and illustrated a children’s book titled, THE HUNTER, for her Master’s Degree. Linda is a member of Romance Writers of America as well as the Greater Detroit Chapter of RWA. 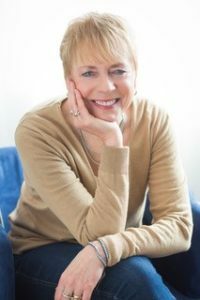 Her debut novel, MAGGIE’S WAY, was a finalist in the 2016 Greater Detroit Booksellers Best Award and a finalist in the 2016 Summer Romance Reviews Readers’ Choice Award. Stay in touch with Linda through her website, www.lindabradleyauthor.com, and follow her on Facebook and Twitter.